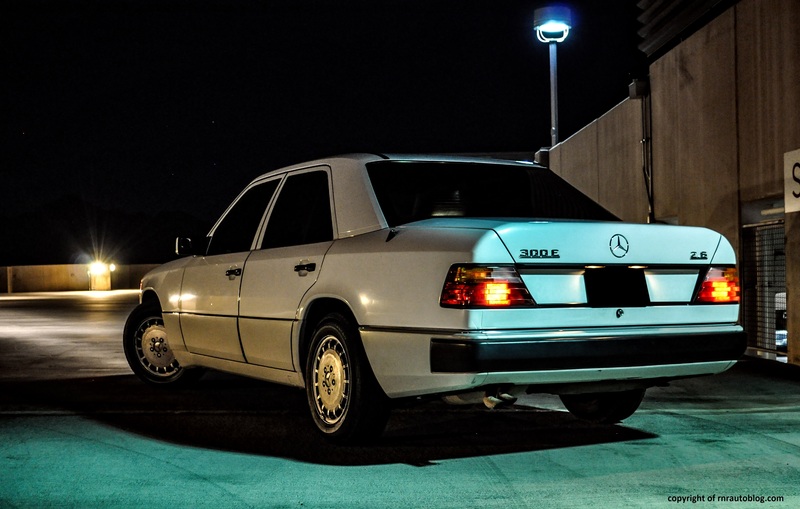 The 300E is a perfect example of old fashioned Mercedes-Benz design. It is purely about function, not form. One thing that I lament on the latest Mercedes-Benz models is that they don’t have the Mercedes-Benz hood ornament (unless you get the Luxury trim but most models are Sport versions which do not come with it). Up front, you can see that a rubber bar dominates the lower fascia, and a tasteful grille encompasses the upper part. The only thing I don’t like about the front are the headlights. They look out of place on a luxury sedan, and I don’t like how the headlights portion is overshadowed by the non headlight parts. Moving onto the side view, the proportions are spot on, and the upright greenhouse is appealing. The slim window lines and the shapely profile give it an athletic essence. The rear is as simplistic as the front, but it is also clean and nicely done. I like how the trunk lines flow into the taillights. The taillights are nice, but I prefer the refreshed versions’. The purpose for the styling was for aerodynamic purposes. 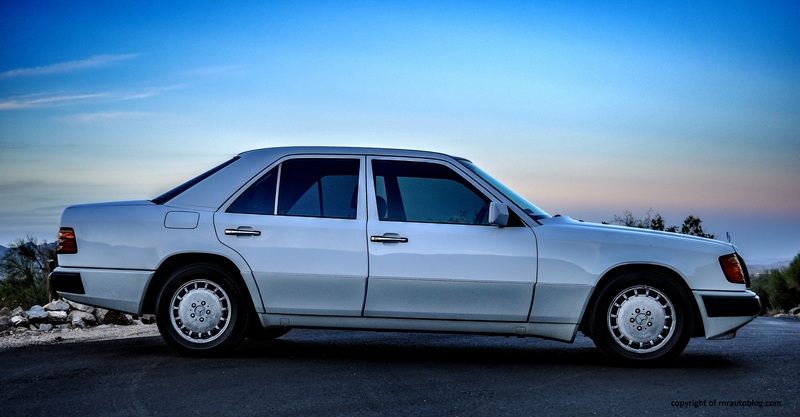 At the time, this 300E boasted one of the most aerodynamic designs on the market. My friend (the owner of this car) kept saying how good looking this car is. The more I look, the more I agree with him. In my opinion, the styling is timeless because it is so utterly simple and elegant. It just works. The interior shares the exterior’s functional theme. 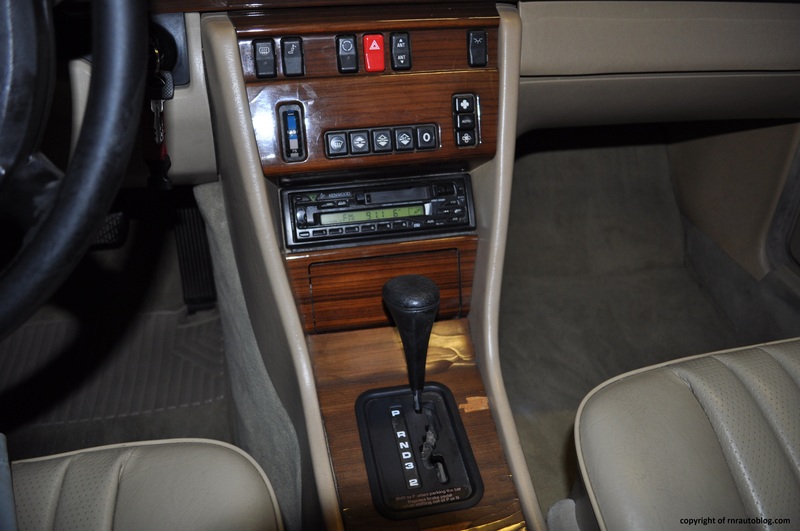 The wood trim and the leather steering give an air of opulence, and the best part of the interior is the seats which have an unique pattern on them (more on that later). 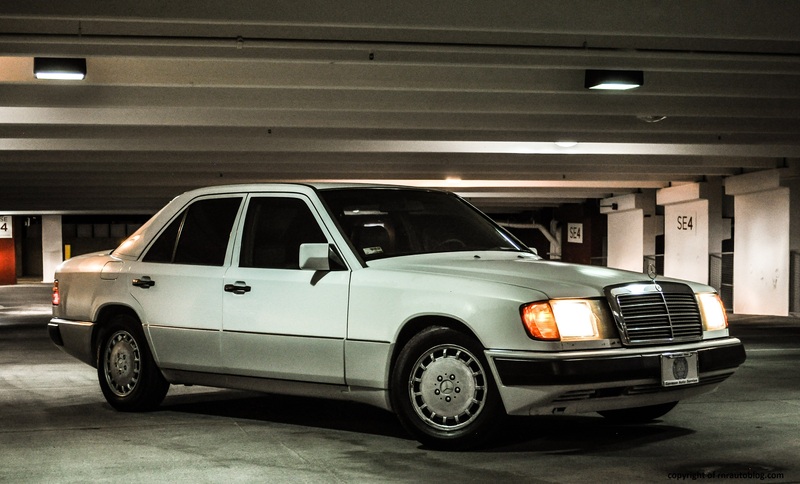 The 300E is not designed for enthusiastic driving, and its serious demeanor reflects that. However, it is undeniably German, which is reflected in its dynamics. 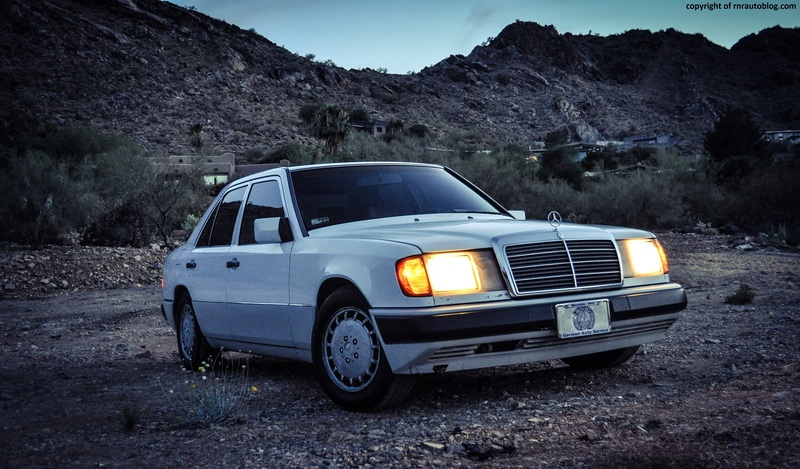 Essentially, German cars are engineered to be the best in their performance and handling. 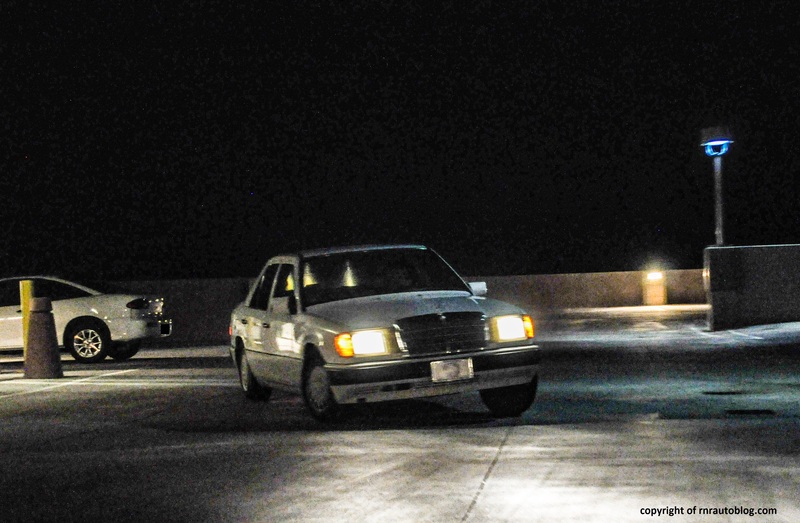 The thing about the 300E is that it is not outright fun to drive. In normal driving, it drives fine enough. The steering is quick with decent weighting, the brakes work fine, and the suspension is supple enough. But push it, and it really comes alive. The steering weights up, and there is more feedback. There is some body lean, but it stays remarkably composed, and it grips astonishingly well for such an old car. I was pleasantly surprised because it is actually fun to drive. 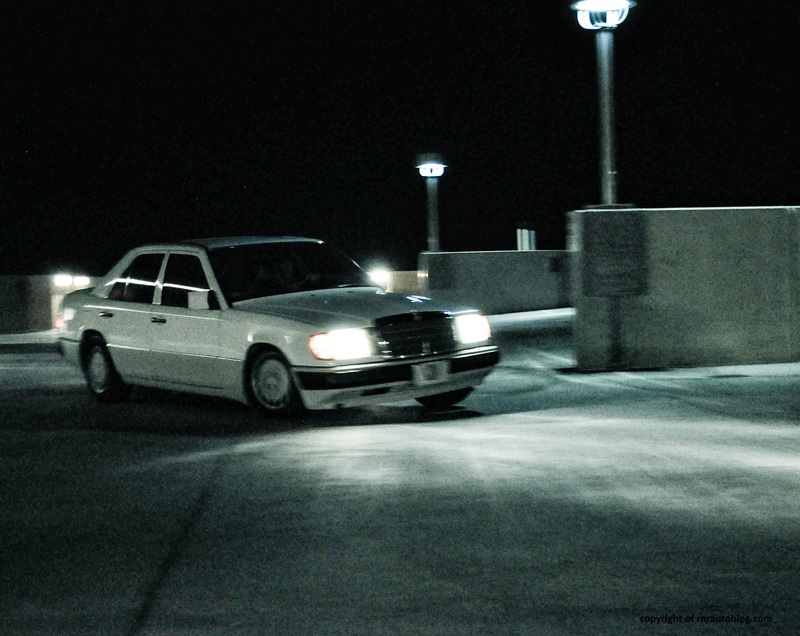 You can abuse it by going around corners too fast and such, and the 300E will do its job without complaint. It is hard to explain, but you feel like you are in control, and you are in touch with what is going on. You can feel the suspension and the steering working together, and the steering offers enough feedback to let you know what is happening at the front tires. The best part of this car is that even though it is engaging once you push it, it does not lose its role as a family sedan. The ride quality is the best of both worlds as it is both supple and comfortable. It is like riding on a cloud. It cossets the occupants beautifully from most road imperfections, yet there is no floaty or buoyant motions. Only the harshest road surfaces are met with a silent thunk. 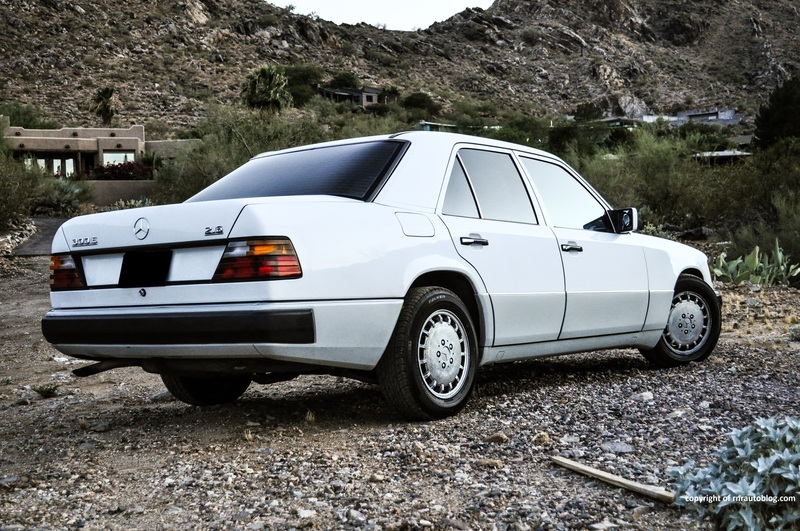 With a 158 horsepower 2.6 liter inline six cylinder engine, the 300E is not as quick as the latest luxury sedans. However, it more than makes up for it with its impressive flexibility. Not once does it feel flat. Its full power can be accessed from low revs, and from there a healthy surge builds all the way to the redline. That is if you can get it up to the redline. The four speed automatic transmission is not the smoothest nor the quickest. The redline is 6,000 rpm, but for whatever reason, the transmission upshifts at about 500 rpm early. 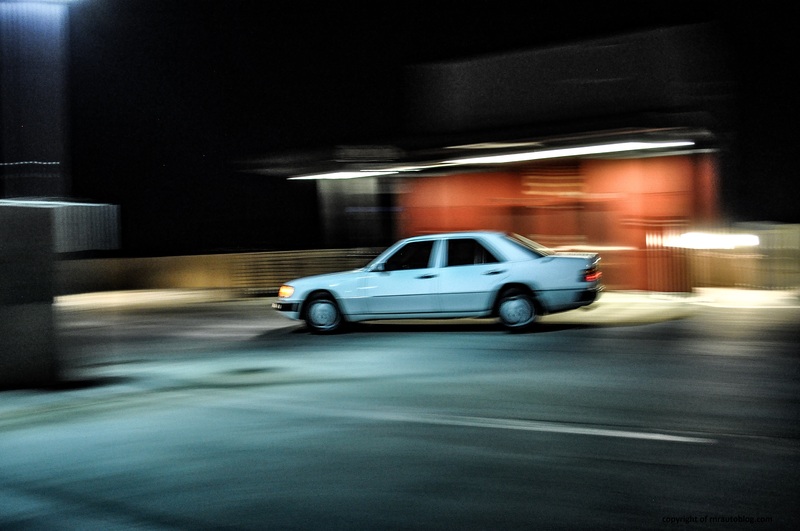 It shifts abruptly, even more so in fast driving, in which it becomes downright clunky. But the engine feels strong, and its inline six cylinder configuration gives it an unbelievable smoothness that cannot be matched by the latest V6s. Fuel economy is adequate at 20 mpg overall. 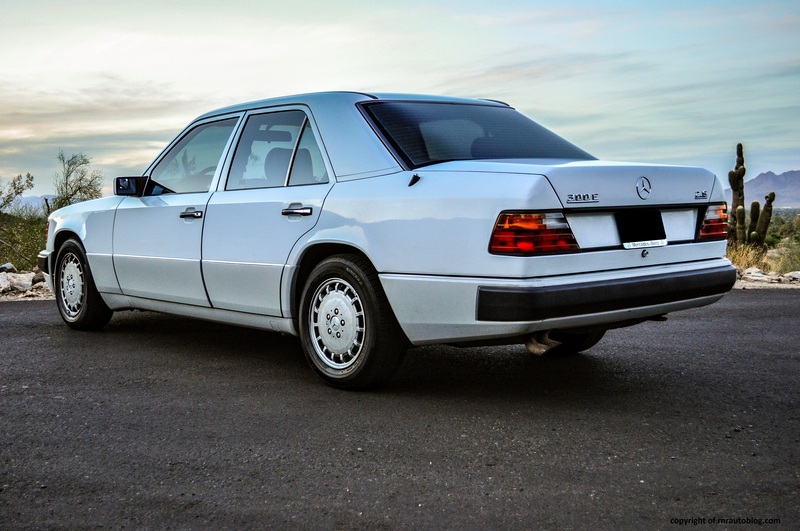 For a twenty year old Mercedes-Benz, the refinement is decent. There is some road noise from the tires depending on the surface, but the cabin is devoid of any wind or suspension noise. The engine is refined, even when it is pressed. When it is pressed, it lets out a subtle growl. You are reminded that you are in a Mercedes-Benz when you sit inside the car. Fit and finish is top notch, with impressive attention to detail and soft touch surfaces. The doors close with a thunk, and the controls feel sturdy. The upright roofline gives occupants loads of headroom. In the front, there is some legroom, but the center console intrudes in the driver’s space. The gas pedal is located on the far right, and there is a weird hump around it. You really need to put your foot all the way out there in order to fully access it. The controls are as simple as they come. 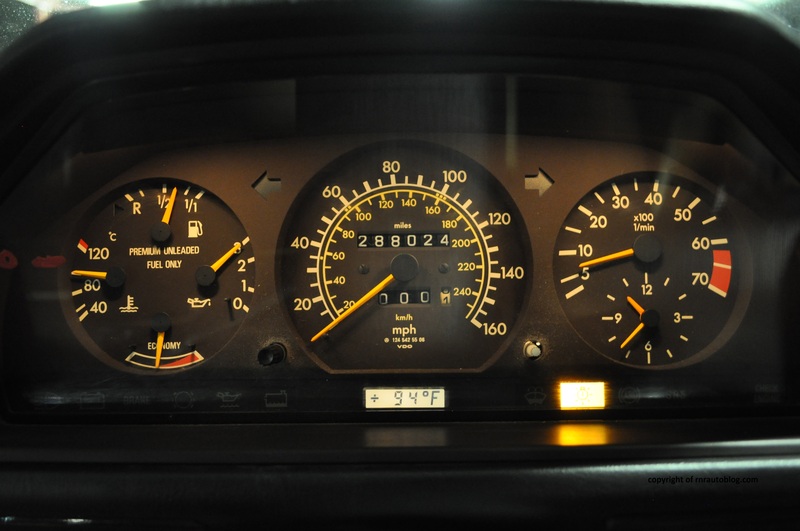 Speaking of simple, the gauges are perfect. It displays all the relevant information that I will ever need, and in a very logical arrangement. For some reason, I long for the times when Mercedes-Benz listed rpm speeds (in the tachometer) in tens like in this 300E, not ones. It is just different. Cabin storage is adequate, and the trunk is huge, not surprising that this is a popular car for taxis in Germany. Visibility is excellent, and it is easy to get comfortable. Now about the seats, the comfort is just right. It is not too soft or too firm, and I love the quilted pattern on the seats. The rear is roomy as well, and I am sure that three adults will have no problem getting comfortable. Honestly, I am blown away by this car. 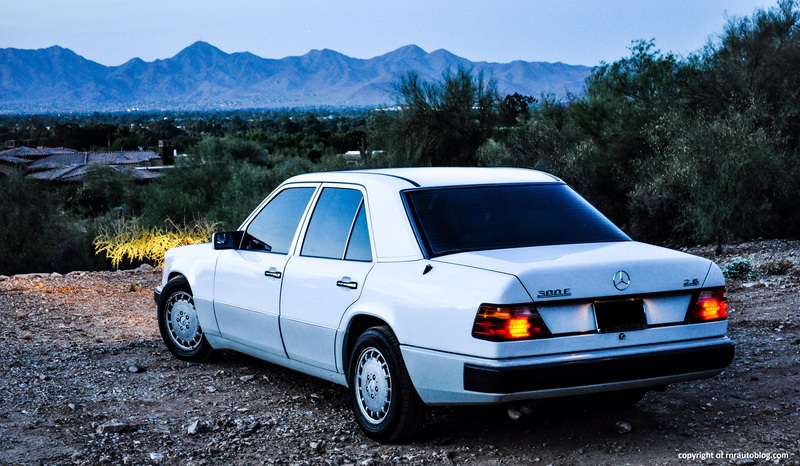 It represents everything that I like about Mercedes-Benz, and at 288 thousand miles, it is super reliable. 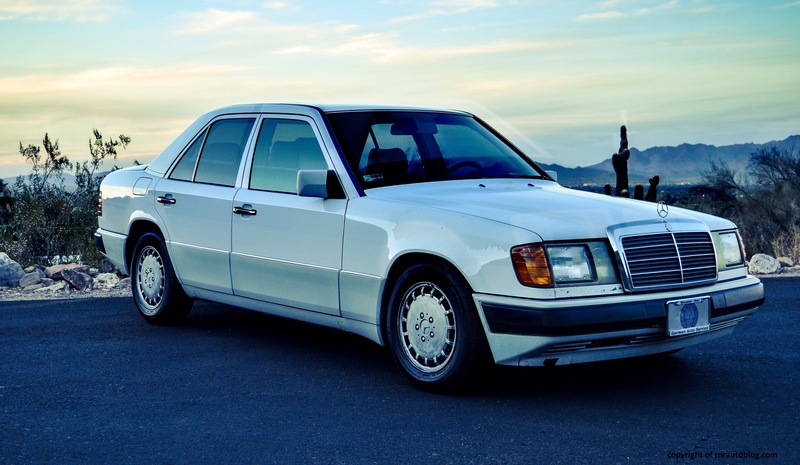 In fact, these were relatively expensive for a luxury sedan because Mercedes-Benz invested heavily in engineering and build quality to ensure that it would last many miles. It is not surprising that this model is still being used as a taxi in Germany. As I said, the more I look at this car, the more I like the styling. My dream is to be an automotive designer, and I typically go for handsome designs, rather than edgy or futuristic styling. I strongly believe that simple but not boring designs are better, because they age well. What is the point of owning a car if the styling looks dated in a few years? The German engineering is strongly felt from behind the wheel. There is a stereotype that Germans are meticulous, rational, and intelligent. 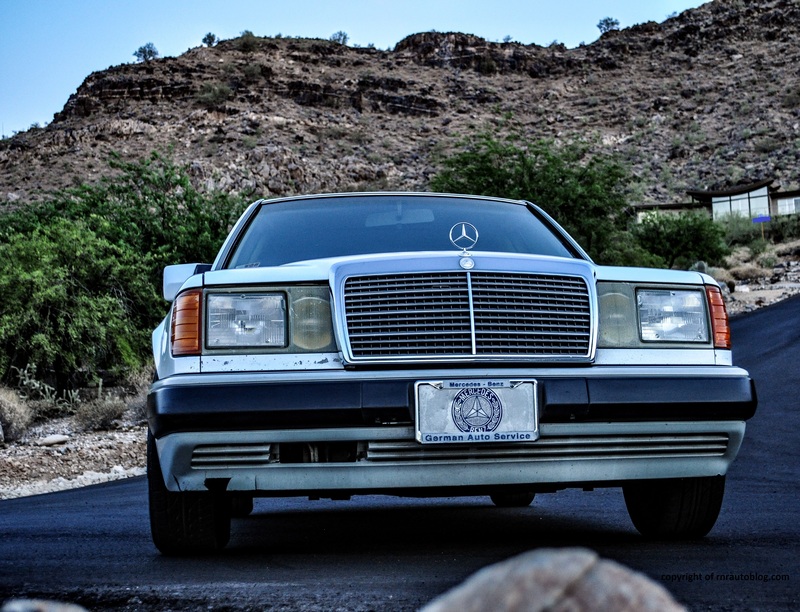 This Mercedes-Benz embodies these traits. It is rational in that it is a practical and reliable car. It is meticulous in that its build quality is best in class. It is intelligent in that while it may not deliver sports car handling, it is composed and capable to the point that it is both comfortable and enjoyable to drive. I know it seems like I am head over heels with this car, but I really cannot find anything fundamentally wrong with this car other than the transmission. 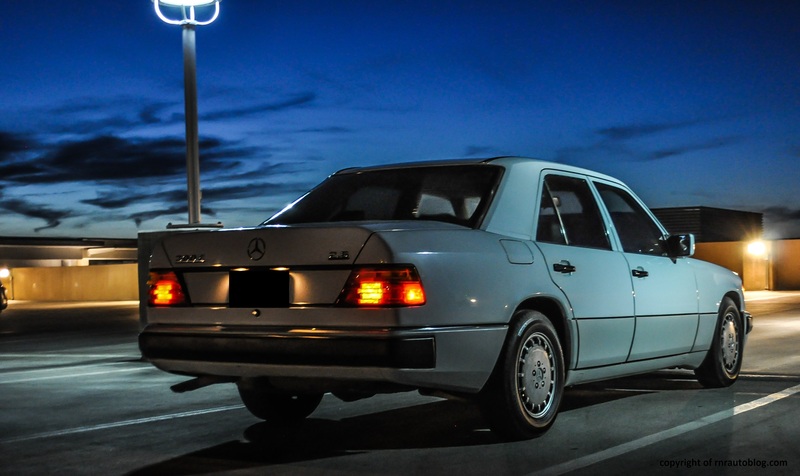 I am not wrong either as other people agree (http://www.motorauthority.com/news/1044698_best-mercedes-benz-ever-w124-e-class). 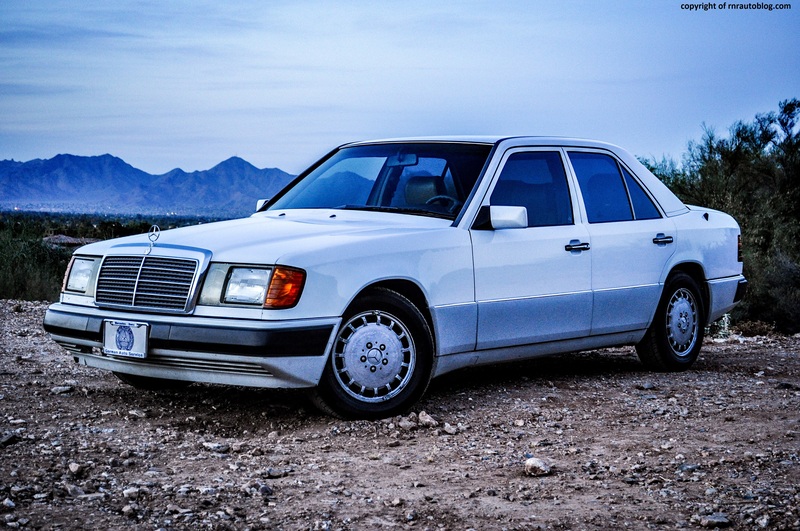 The author of this article says that the W124 E-Class is the best Mercedes-Benz ever made, and I agree. 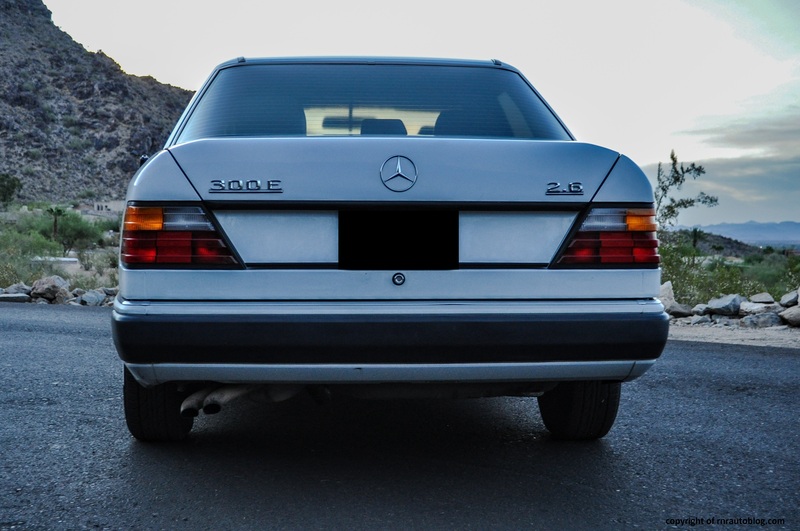 I wish that Mercedes-Benz would take a look at this car, and return back to its principles that made a Mercedes-Benz so special because this 300E is a gem.